Remove the rubber foot of tabletop yarn sawing machine you are using, and use it for repairing. It is neither good nor bad, as Japanese quality is normal. You can use it at ease. This review is about item#9332172. I was relieved that a satisfactory item arrived. It is saved when mounting bolts and nut sizes are listed. This review is about item#9332443. 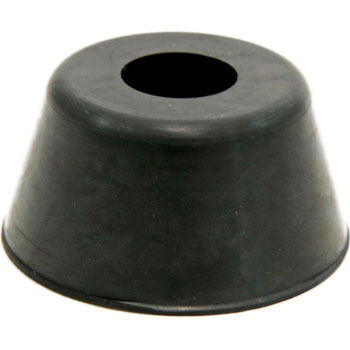 It is used as a rubber foot of a small aluminum case (10 cm W x 4 cm H x 15 cm D). It is a metal washer. It is also good not to have double sided tape. This review is about item#9332391. I use it for my own long long-war chuck through M6 bolt making the hole bigger, but it grasps firmly. This review is about item#09332154. It is hard to slip and fixed on the bottom of the main body with adhesive such as bond. This review is about item#9332127. This review is about item#09332181. I think that I want to use it because the use feeling and the appearance were perfectly fine without any problems. This review is about item#9332181. Sufficient cushioning It was a necessary size. This review is about item#09332434. Because the rubber around the gate was broken, it installed by repair. Aluminum gate door does not become scratch, it works well. This review is about item#09332206. Excellent shockproofness The price is also reasonable and very good. This review is about item#09332276.